Yolanda Caldwell is a third-generation real estate broker with more than 10 years of experience representing buyers and sellers. In addition to her sales professionalism, she also has an expertise in marketing. Yolanda is a leader and practices her profession with the highest degree of integrity, honesty, and dedication. 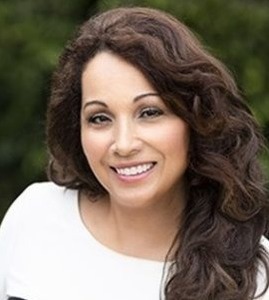 Whether it's a first time home buyer, a seller or a seasoned investor, Yolanda will work tirelessly to negotiate her clients the best price and most favorable terms possible. Yolanda offers a highly personalized hands-on approach, always listening to the concerns of her clients and placing a premium on client satisfaction. Her personality and style blend well with the perseverance and stamina that have earned her a reputation as one of the hardest working real estate professionals in the high-end residential market. An energetic and dynamic leader in real estate for the past 10 years, Yolanda has a passion for her clients and her profession. She also has earned the trust and respect of many repeat clients who look to her for all of their real estate needs. The mother of one, she is an active member in community service and supports many causes on the Westside.